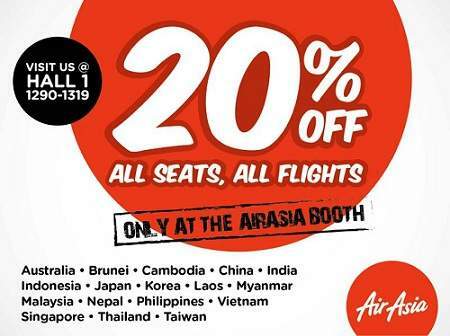 Get 20% OFF on all AirAsia seats on all flights when you purchase air tickets from AirAsia's booth at MATTA Fair! Plus, there will be exciting holiday packages and several other activities for AirAsia's fans! Just make sure you visit AirAsia (booth no. 1290 - 1319), 15th March till 17th March 2013, 10:00am till 9:00pm at Putra World Trade Centre (PWTC) Hall 1, Kuala Lumpur, Malaysia. Do you like AirAsia promotion?